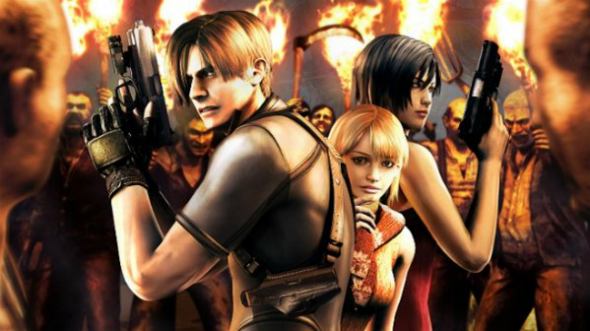 Japanese Capcom company has announced its decision of making an HD edition of the Resident Evil 4 game for PC. Also the developers have shared the information about the release date of the updated version - it’s February 28th of 2014. The Resident Evil 4 game was firstly launched on the GameCube platform in 2005. Later, it was ported to PS2, Wii, PS3 and Xbox 360. It’s necessary to mention that the Resident Evil 4 PC version was released before, in 2007. But most players weren’t quite satisfied with it, because the version had lots of bugs and problems like, for example, an absence of the PC mouse support. According to Capcom, during the development of new Resident Evil 4 PC version, the company has made many corrections of errors and tried to consider as many players’ comments and wishes as possible. The game will include some add-ons from the previous parts, new content, achievements and leaderboards. Besides, updated Resident Evil 4 PC version will get the improved textures and stunning HD graphics with 60 frames per second. Currently new edition of the famous horror-shooter is available for pre-order on Steam. All the fans can pre-purchase the game and receive two pleasant bonuses: the original Resident Evil 4 game’s soundtrack and digital art book. And what do you think about new game’s version? Will it satisfy all the fans’ expectations? Share your opinion in the comments below. Purchase Dead Rising 3, Resident Evil 6, Ultra Street Fighter IV and more games with discounts at Green Man Gaming!